With a quick-step, I made my way towards immigration… when I could find it. 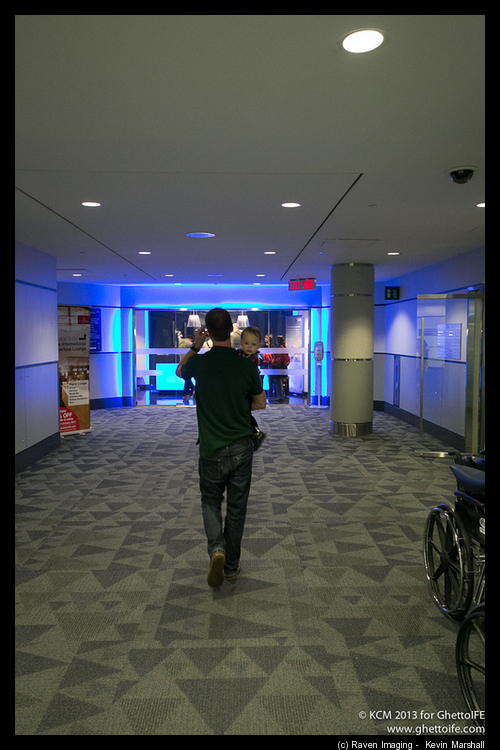 Apparently, the lights were out and so were the directions, so everyone was getting lost round a secure part of an airport. Wonderful. 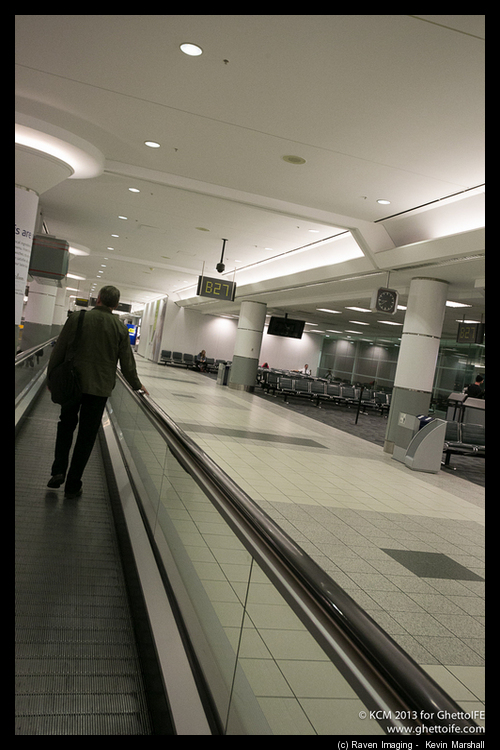 Eventually, I reached the upper levels, and headed towards immigration and transit zone (which in T1 as it was designed by a drunk monkey) requires you to follow signs, drop luggage off and enter the Canada, then exit the country. MAD. Pay attention to this sign. Collect all Items before exiting the secure zone. This is important in a moment. 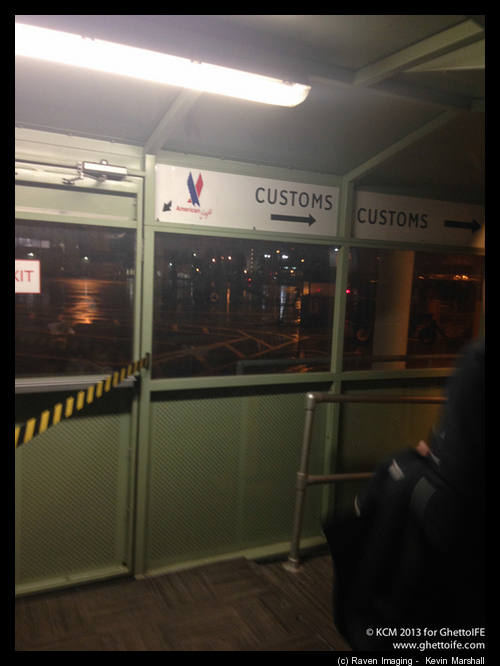 I entered immigration and head to transit immigration. After short questioning, my passport and immigration form was stamped, and i was sent on my way to baggage claim. Thankfully my rucksack came out quickly. Then I waited for the ski bag. And waited… and waited. 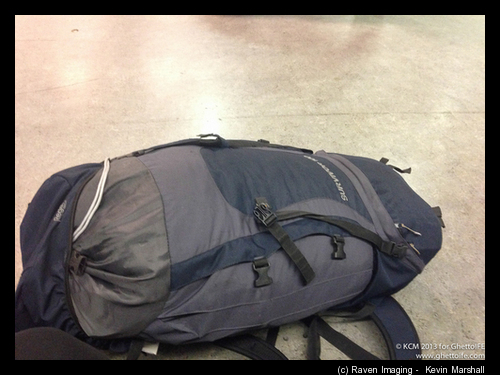 Baggage delivery was completed, and it seems my bag didn’t make it. Impolite curses were left out. 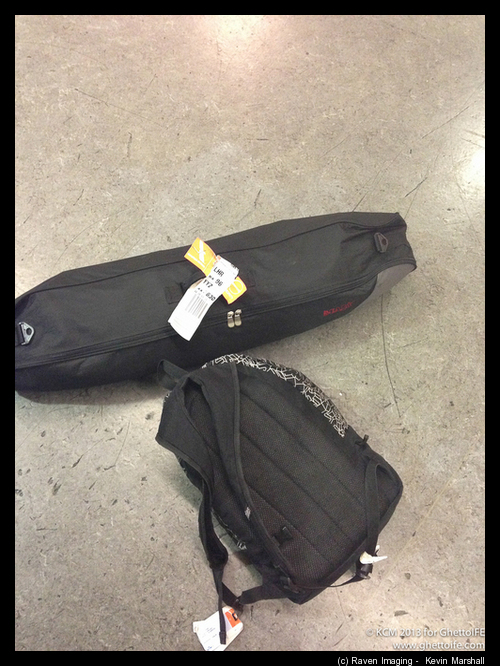 Baggage tracing was conducted, with the last scan of it in Chicago… with the conclusion that American Airlines in their infinite wisdom decided to split my bags up, and send the ski bag on the next flight. This meant I was stuck in the arrivals zone, unable to clear drop off area, as all bags have to be claimed before leaving the secure zone. 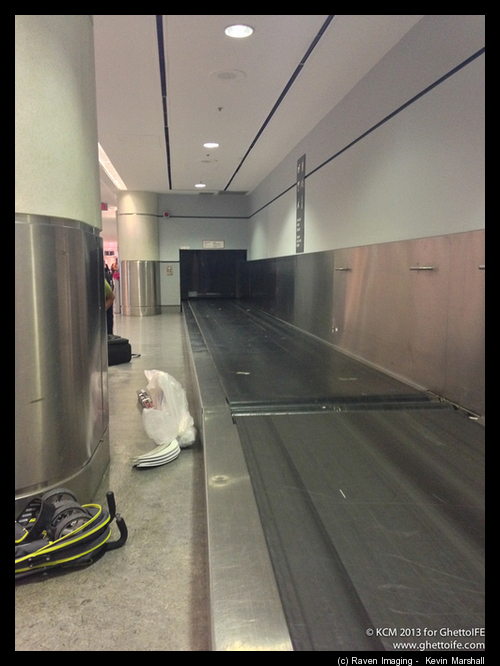 And an hour of my life that I wanted to spend in the lounge would be spent instead in the luggage pickup zone. I took the opportunity to track the next flight, and wait. 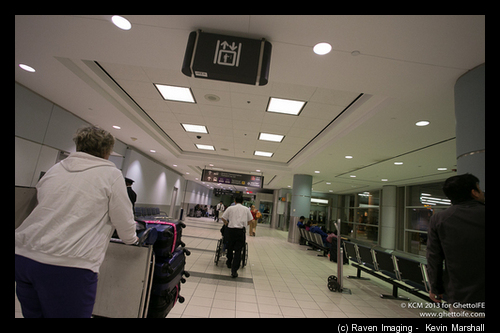 Eventually, the latter flight landed, and the baggage agent went behind to see it had arrived – and it did. The bag had rush tags on it, and those were cleared off so the normal travel tags were visible and could be scanned again. With that, I was on my way again. 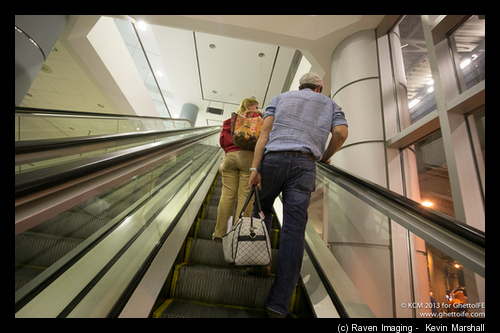 I cleared baggage drop off – and to my horror… the DSLR had decided to spout legs. A random check of my bags indicated it wasn’t there. I was advised to head to the information desk as they might be able to help… so that’s what I did. Lo and behold the camera was there, and I was asked to describe the contents of the memory card. 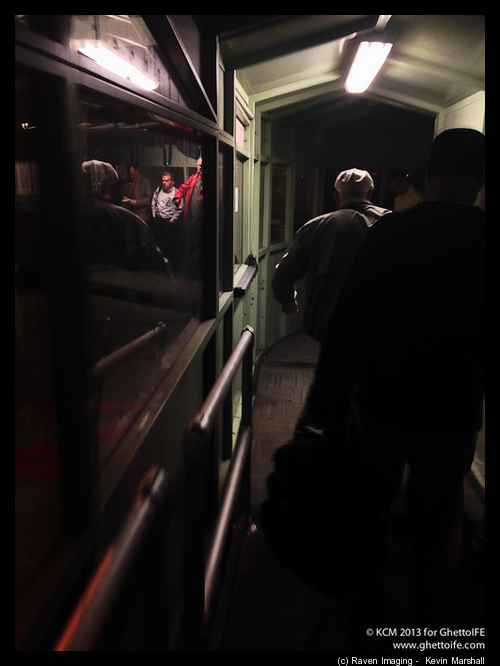 With that done and some administration complete, the 6D was released to me… and I was on my way again. Landside transit. Nothing like a joined up system here. Thankfully, my knowledge of T1 was enough that I knew which way to go – and where to head. 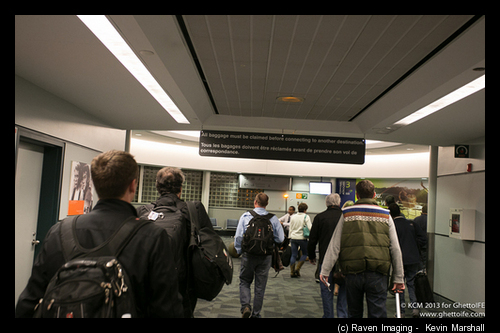 So I headed to the security lane, and was cleared quickly… and it was a quick march to the International Departures section. 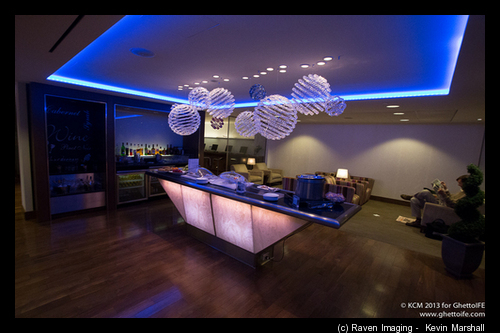 Safely in the International section, I made a bee-line for the BA lounge. 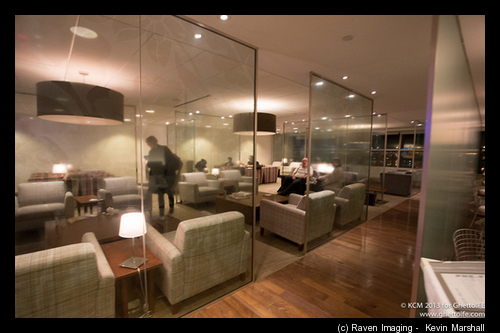 There was short wait to enter the lounge, and I let a few people through as they had simpler needs than me – as the lounge attendant had spotted my AA boarding passes. The agent exemplifies what I find best about BA – she was concerning where my luggage was and if it was re-checked, ensured I had the best possible seat (an offer was made to move from my seat of 12A to 10J, with the pair of seats to myself – I accepted), and a full reprint of boarding passes on BA Stock . Charming, and understanding – this agent was representing British Airways at its best. 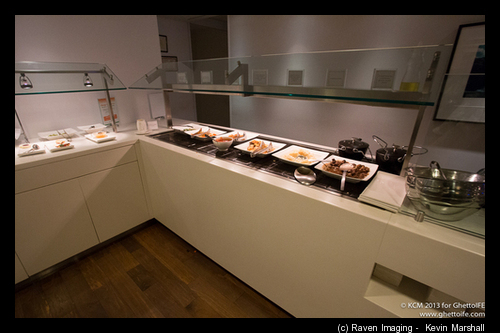 I was also offered a food voucher to enjoy the buffet dinner too. Simple things, a caring attitude. I put myself through the Toronto pain for this reason. 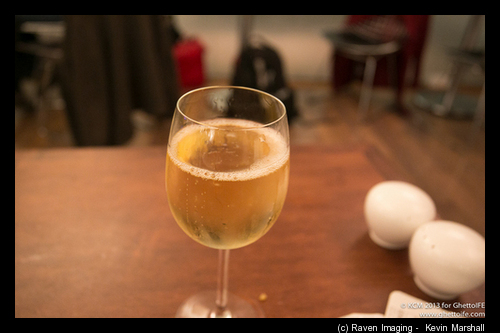 I grabbed a glass of bubbles, and headed for food. 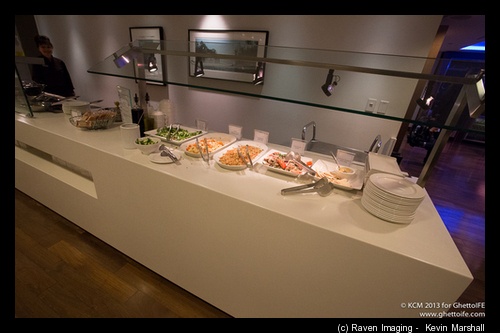 The food in the lounge was nice and flavoursome, with help yourself stations. Always helpful. 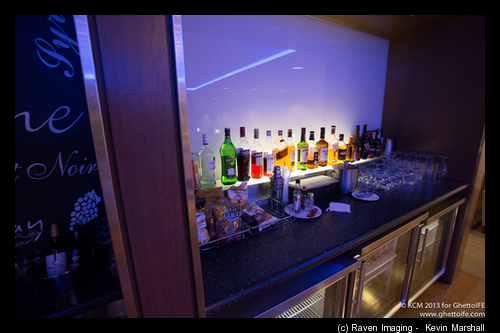 In addition, there were bottles of water on hand (which would be more useful than I could think later). 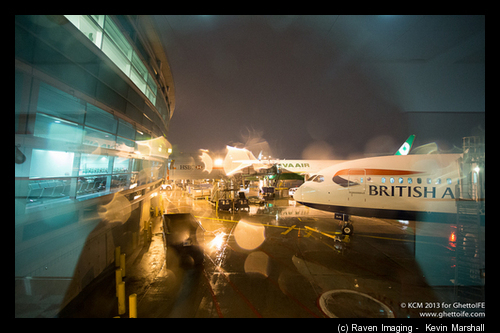 Meanwhile, our 787 was outside… waiting. This was a relaxing environment after the joy of transiting the airport, and it showed with the staff being attentive and helping passengers as need be. 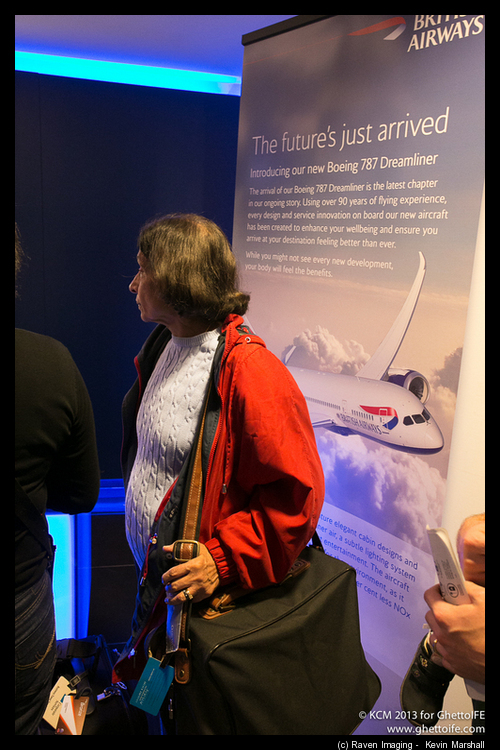 The lounge receptionist was engaging to those who were going on BA98 and BA96, making boarding and final boarding calls as needed, treating passengers as people. When the call was made for flight BA96, I packed up my bags and headed for the plane home, thinking I’d be home soon. Dare I say it? Yes. I’m going to say it. 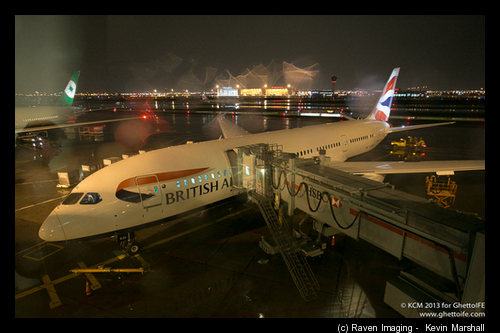 Is this the best British Airways outstation in North America? Quite probably. 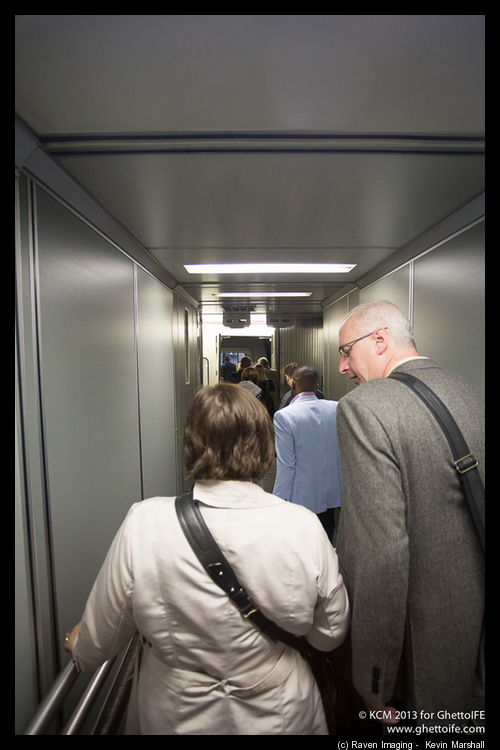 Heading to the gate, boarding was in full swing. 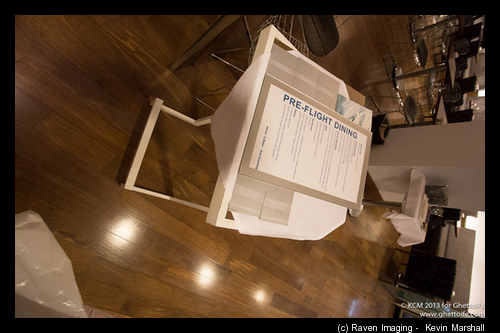 I headed through FastTrack, with my boarding pass scanned, and being directed aboard. 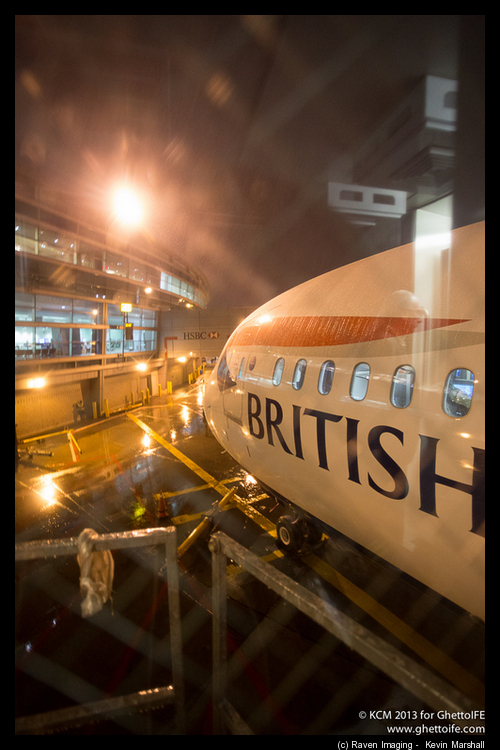 Next: BA096… Umm. Who banged this luggage-loading machine against the plane?